California is located in the west coast of the United States and is, by far, the most populous state of the country with approximately 38.000.000 inhabitants. The State of California is home to eight of the largest US cities: Los Angeles (the largest city of California), San Diego, San Jose, San Francisco, Fresno, Sacramento (the capital), Long Beach and Oakland. Starting a cleaning business in California’s largest cities is indeed a challenge but the higher the difficulty, the higher the prize. However, there are regions in the state and several cities / towns you could start a cleaning business just as easy as you would anywhere else. 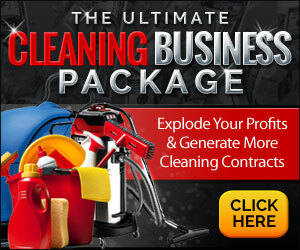 You’re reading a comprehensive, step-by-step guide on how to start a cleaning business in California, please bookmark this site or connect with us on Facebook and Twitter to keep up with the latest news in the industry, business tips, promotional methods, new markets to expand your reach and much, much more. California is generating the largest GSP (Gross State Product) in the US. As of 2010, the GSP is about $1.9 trillion. At the same time, California is rated as the 9th richest state in the United States in terms of median house income ($61.000 per capita). If California was a country all by itself, it would be the 8th largest economy in the world, ranked 34th globally population-wise. The state’s economy is highly based on aerospace, manufacturing and education as well tourism. A notable fact is that in 2012, there were a little more than 660.000 millionaires in the state of California. That’s more than any other state. So, how to start a cleaning business in California? 1. Research, Learn and Plan ahead. Starting a cleaning business in California is a major undertaking. Any business start-up is. In order to make the most out of your efforts, make sure you research the cleaning industry thoroughly and learn as much as possible for the market you’re about to enter. Starting from this very guide on how to start a cleaning business in California and expanding your read to our 5-part Cleaning Business Start-Up Guide. Then, you might want to take a look on our Start-Up Resources (Part V of the guide) in order to give yourself a head start and avoid common, amateur mistakes. At this point, you can hopefully see it’ll take some planning to get things done and some attention to make sure you don’t miss anything important. Go ahead, take notes and bookmark useful sites you find in order to have quick references when you need them. 2. Financing your cleaning business start-up in California. We talk about ways to finance your cleaning business start-up in Part II of our start-up guide. You may also visit the United States Business Portal financing page to find more information. 3. Come up with a name for your cleaning business. Finding a suitable name for your cleaning company is a task that requires your full attention. You should take your time and not rush into a decision. Your name will follow you anywhere and as such, it’s one, very important aspect of your cleaning business start-up. You can find and read our article on cleaning business names right here. Within the article, you’ll find guidelines on selecting a good name for your business as well as root name ideas to help you come up with your very own, unique name. 4. Register your business name with the State of California. The first step to take is to head over the USPTO website, the United States Patent and Trademark Office to check whether or not someone else is using it already. Next and final step is to register your cleaning business name with the State of California. To do that, you may visit the California Secretary of State. While there, you’ll find a “Name Availability Inquiry Letter” which you’ll have to download, complete and then mail in order to further make sure the name you picked and want to register isn’t violating any third-party trademarks and existing names. You’ll also find forms to reserve a name for your business as well as information on the state’s Priority Telephone Support (should you choose to pay for that). If you are in a rush and need the state’s authorities to prioritize your name search, you’ll have to pay a $4.00 fee for a single name availability search as well as an extra $10 as a reservation fee. 5. Get a domain name. Getting a website down the road is extremely important for your business branding and increasing leads to your California based, cleaning business. You may do that at your own convenience, even though it’s highly recommended that you instantly build a website, even prior to printing flyers or business cards. In any case, you should hurry up and register a corresponding domain name by using a service like GoDaddy.com or NameCheap.com. 6. Think of the ideal place to locate your cleaning business. And that doesn’t only mean a county within California. You must choose wisely and based on the type of your services, volume of work and other needs you specify for yourself. For more information on picking up the ideal location for your cleaning business, read this article. We also recommend you download and read the report found in Public Policy Institute of California about Business Location Decisions and Employment Dynamics in California. 7. Determine the Legal Structure of your Cleaning Business. We recommend that you seek out professional attorney assistance to determine the legal structure of your business entity. To get a first clue, you may read our article on cleaning business’ most popular legal structures. Small cleaning business usually start as sole proprietorships, the simplest and cheapest form for doing business. 8. Get an EIN. This is one of the most important steps in our guide on how to start a cleaning business in California. The EIN (the acronym stands for Employer Identification Number) is the number used to identify your cleaning business as an entity. Applying for an EIN is very easy and can be done online by visiting the IRS website. 9. Open a Business Bank Account and get Insurance *. The opening of a business bank account is required by law for every business operating in the United States. This is because the State needs to be able to tell your business from your personal transactions. Insurance is also mandatory. You must get liability insurance to protect yourself and your cleaning company. It’s highly advised that you also get bonding insurance; some clients will ask for it. You also need to pay the Worker’s Compensation Insurance as required by federal law. * Disability Insurance. 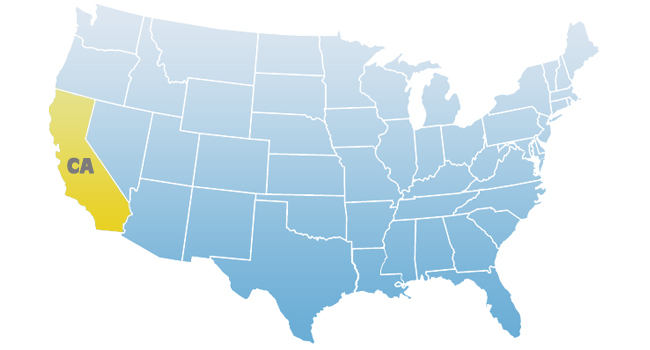 California is one out of six US States that require an employer to have Disability Insurance. This type of insurance exists to provide partial wage replacement coverage to eligible employees for non-work related injury or sickness. You may find more information here. Corporations, LLPs and LLCs must register with California’s Secretary of State. To complete the registration of your cleaning business in California you’ll also have to consult with the county / city authorities, for various business licenses, permits, zoning and environmental regulations and other restrictions that may apply to your case. These greatly vary from location to location. 11. State of California Taxes. The sales tax in California is county-based. To find the exact amount of taxes you have to pay for selling your cleaning services, you’ll need to get in touch with the local authorities. To be eligible for taxation, you’ll need a Tax ID from the State Franchise Tax Board. For more information and downloadable forms, you can visit California’s Tax Service Center. You also have to pay the Unemployment Insurance Tax. 12. Report New Hires. You are required to report new hires or re-hires within (usually) 20 days of the hire or re-hire date. To do that, you can visit the State of California’s Employment Development Department. 13. Comply with California’s Payroll Tax Recordkeeping Requirements. In the State of California, you (as an employer) are required to keep payroll records for a minimum period of three years. These records can either be kept in your cleaning business’ offices or at a central location within the state. These records must contain all your employees names, SSNs and occupations as well as their addresses, the birth dates of minors, total wages paid in a payroll period, time records, the total hours worked, the applicable pay rates for the payroll period including the value of board, lodging, and other compensation, an explanation of the piece rate or incentive plans and finally, meal period schedules and split shift intervals. You are required to provide your employees with notification to inspect those records within 21 days of your written or oral request. 14. Comply with Federal Law. Familiarize yourself with federal laws and requirements of your cleaning business. While it’s mandatory to ask the authorities for these and apply their instructions to your cleaning company, you can get some insight on some federal requirements of your cleaning business by reading this article. This concludes our guide on how to start a cleaning business in California. Feel free to post questions or comments below. Great informational website thank you for actually listing in steps what we need to get started on and look into. So glad I read this.